"There's nothing that he has that we can't take." Imani Motion Pictures has debuted a trailer for a crime drama titled True to the Game, based on the novel of the same name written by Teri Woods. The film is about a charismatic drug lord, played by Columbus Short, who falls for a young girl from Philadelphia. He begins planning a way out of the crime world with his love for her, but tragedy strikes just as he is about to start his new life. The entire cast includes Vivica A. Fox, Andra Fuller, Nelson Ellis, Draya Michele, Jennifer Freeman, and Starletta DuPois, plus introducing Erica Peeples as Gena Hollins. This trailer looks solid, with some promise in the performances more than anything else. Might be worth a quick look. Based on the Teri Woods best selling novel, True to the Game is the love story of Quadir Richards, a charismatic drug lord, and Gena Rollins, a young girl from the hood of Philly. Quadir was able to gain the trust and love of Gena and was on his way out of the game to start a new life with his future bride when tragedy strikes. True to the Game is directed by American filmmaker Preston A. Whitmore, of the films The Walking Dead, Doing Hard Time, Crossover, and This Christmas previously. The screenplay is written by Nia Hill (Turnaround, Colored My Mind); based on the novel by Teri Woods. 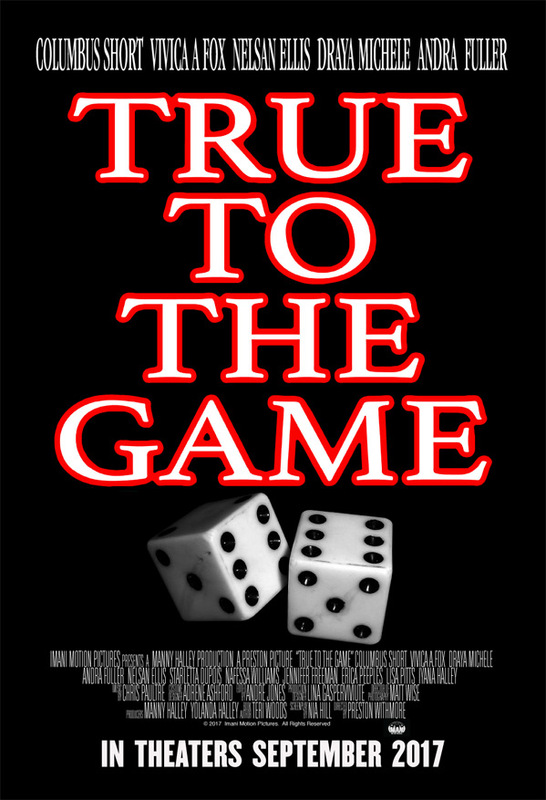 Imani Motion Pictures will release True to the Game in select theaters starting on September 8th later this fall. Anyone interested?